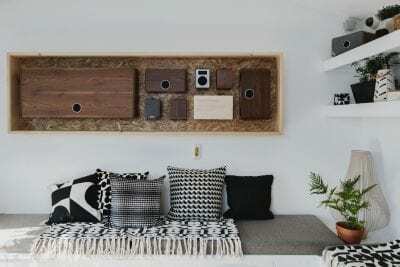 Three great digital audio brands, Ruark Audio, Sonos and Naim, are partnering with John Lewis as part of their Sound of Summer series and opening rooftop studios on top of John Lewis. The John Lewis rooftop will be transformed into a live music venue and bar to entertain music lovers this Summer. As part of The Roof series the store at 300 Oxford Street will welcome live performances and DJ sets, and groups can book the three immersive studio spaces which have been created by audio experts Ruark Audio, Sonos and Naim. The studios will be styled with John Lewis accessories and will feature products from the 3 different audio brands ranges. Visitors will be able to order food and drinks whilst enjoying an audio experience from the studio brand they are in. The Rooftop is open from 5th May and launches with live performances from Slow Club and Daudi Matsiko on Saturday, Catherine McGrath on Sunday and DJ Max on Monday. The John Lewis Rooftop and Sound Studios will be open until mid-June.